The Housatonic and Shepaug rivers meet at the southern tip of this town in lower Litchfield County. Originally the Shepaug Neck section of New Milford, Bridgewater incorporated in 1856. Long an agricultural community characterized by tobacco, dairy farming, and animal husbandry, Bridgewater experienced limited industrial development. In the 1800s, a mail-order toiletries business run by entrepreneur Charles B. Thompson and a hat-making factory were chief among the town’s enterprises. Today, the Sunny Valley Preserve, a 1,850-acre network of wetlands, meadows, woods, and farmland, honors the town’s agricultural heritage by educating visitors about environmentally compatible farming. 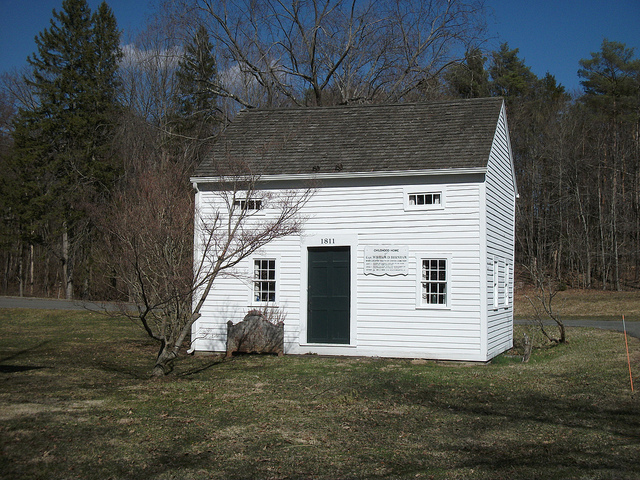 Bridgewater Historical Society. Bridgewater Historical Landmarks. Bridgewater, CT: Historical Society of Bridgewater, 1956. Green, Jeannine. Roxbury and Bridgewater. Charleston, SC: Arcadia, 2011.